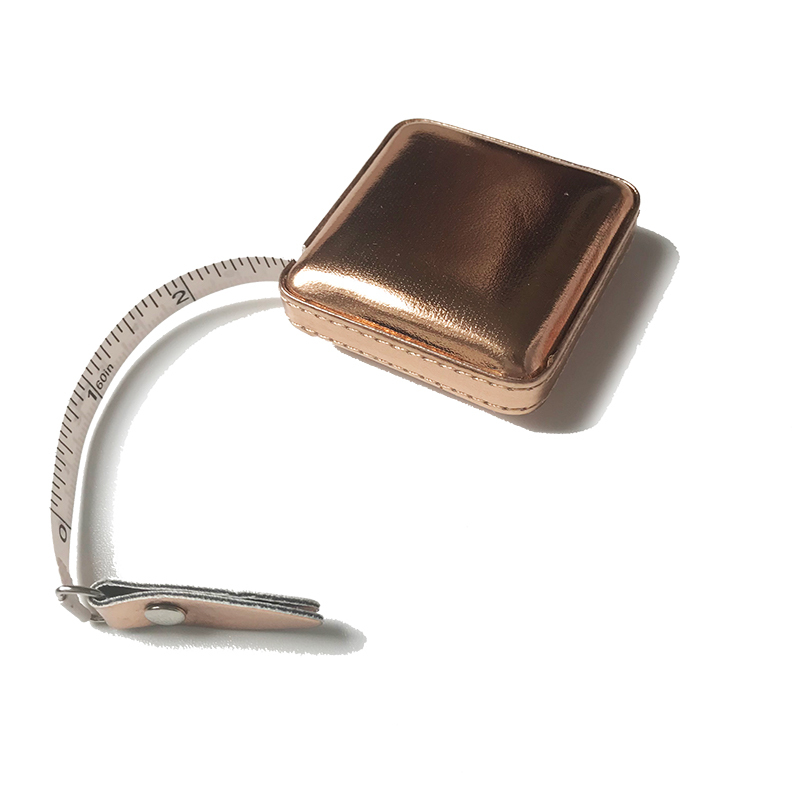 This shimmery, rose gold tape measure is a trendy addition to any notions bag. This retractable tape measure has both imperial and metric measurements and extends to 60". Measures 8.3" x 5.1" x 3.1"